Central Alberta Women's Emergency Shelter Building bridges to a better future for all those impacted by domestic violence.Every individual has a right to live free from family violence. The Central Alberta Women’s Emergency Shelter offers safe refuge, personal counseling, and community support for families experiencing family violence. Every year, we meet nearly 3,000 people who have made the brave step towards a life free from violence. There are thousands more in our community who still need our help. Family violence is an issue that not only impacts individuals and families, but communities as a whole. 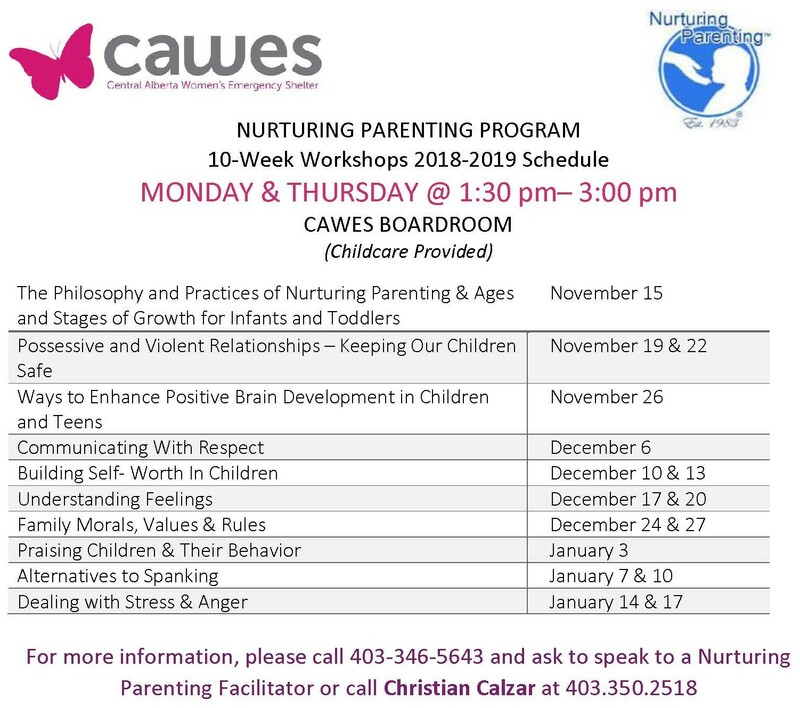 Thanks to CAWES’ dedication to prevention initiatives, child-focussed healing programs, and providing the necessary tools for our clients to become safely independent, we are seeing promising improvements in rates of family violence in Central Alberta. As experts in the field of family violence, we continually create ground-breaking opportunities for education and awareness. We are proud to report that great things are happening at CAWES, and people’s lives are changing. Learn about how you can make a difference by contributing to CAWES through donations and volunteer efforts. Stay informed of all the latest CAWES community news and special events!